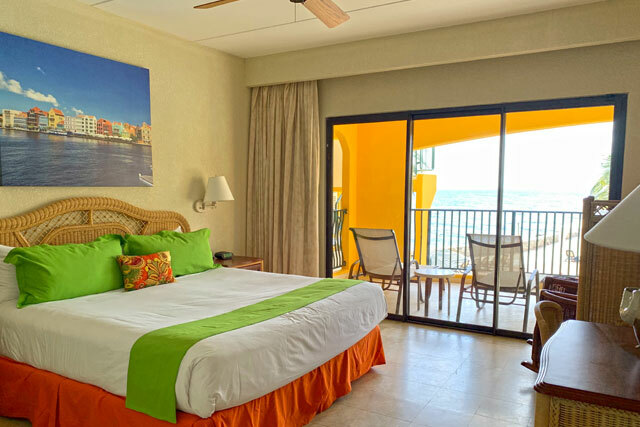 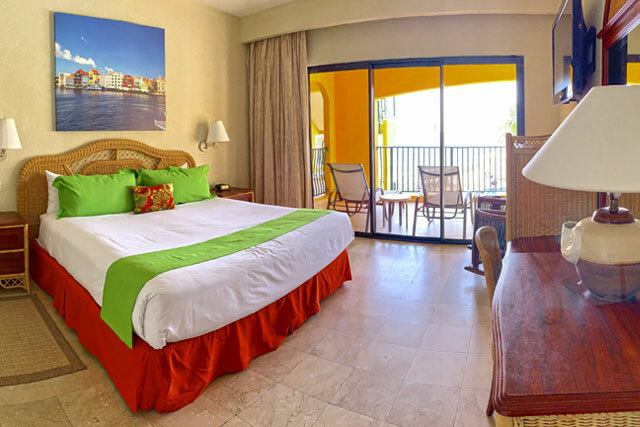 Villas, suites and rooms at the Royal Sea Aquarium Resort in Curacao. 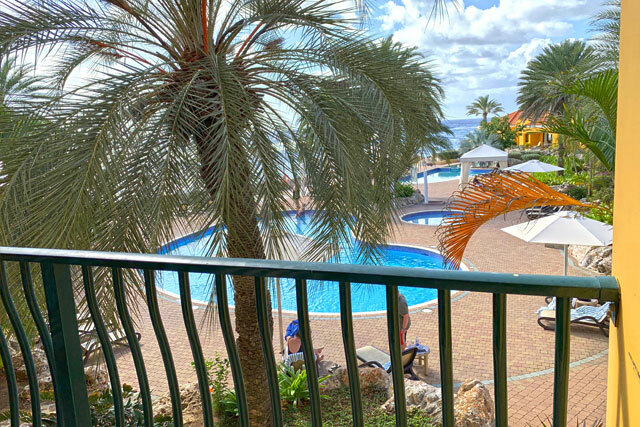 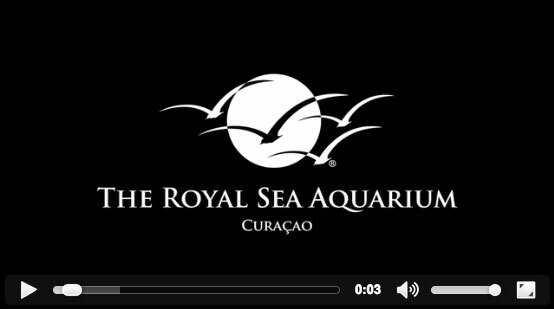 Enjoy the island of Curacao at The Royal Sea Aquarium Resort. 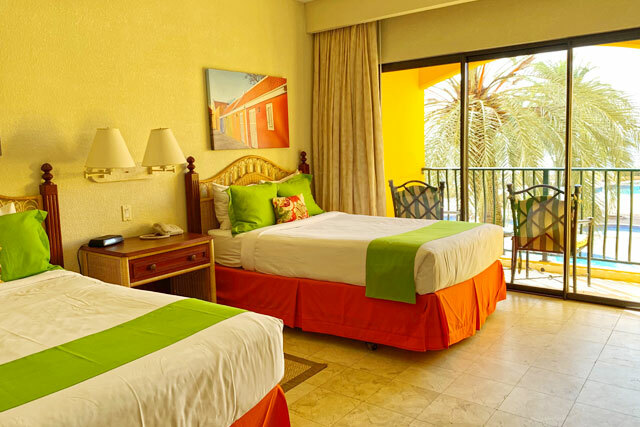 Located on a private island there is no better place to have a wonderful time in the Caribbean. 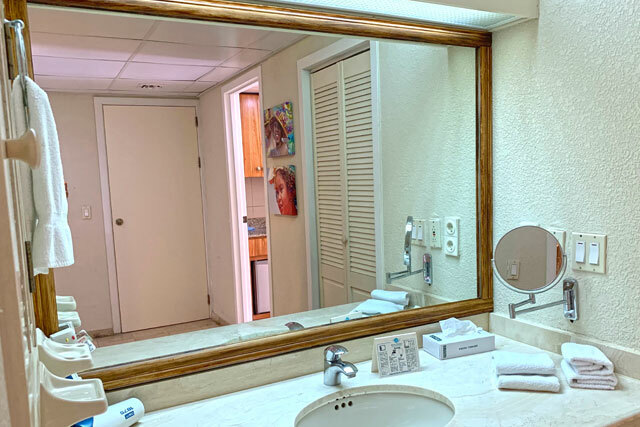 Our privileged location gives you the perfect ambience for the vacation you are looking for, the only thing you need to do is to choose your stay. 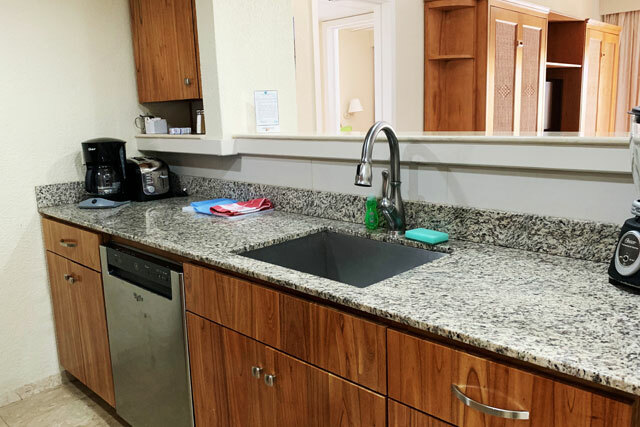 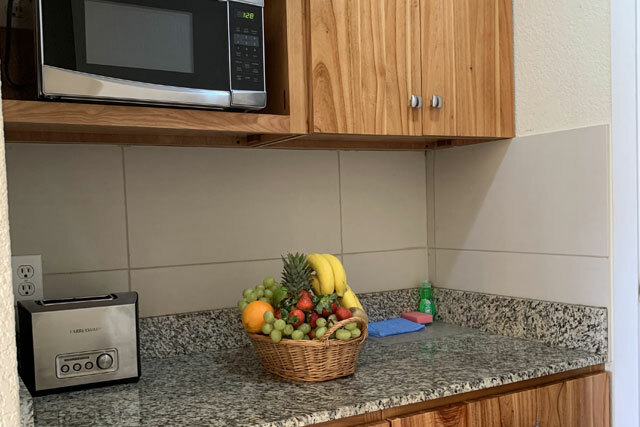 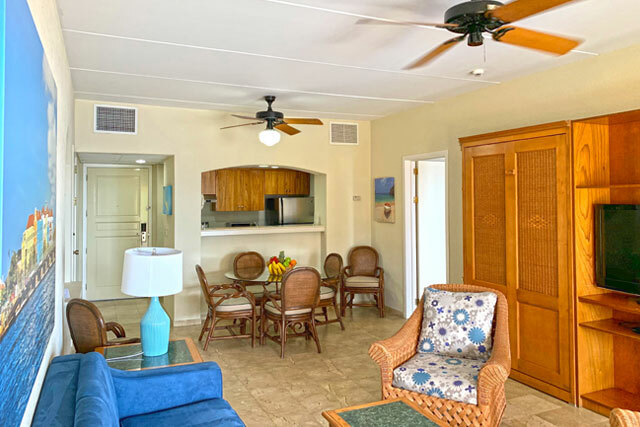 The Royal Sea Aquarium Resort offers three accommodation options: villas for up to six people, villas for up to four people and Jr. Suites for two people. 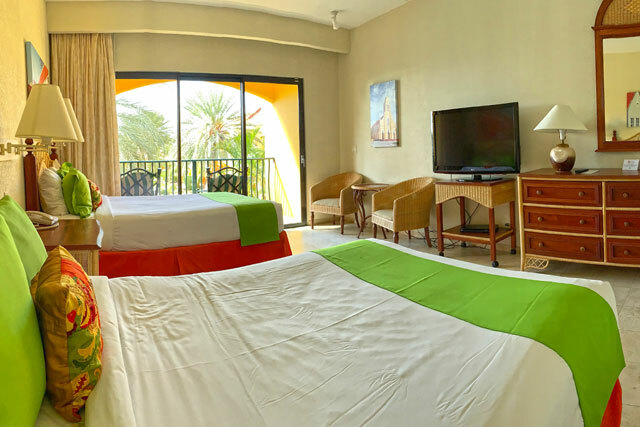 Our ocean-view villas sleep six and feature a fully equipped kitchen (including dishwasher), dining and living area, two pull-down Murphy beds, Master bedroom with a king-size bed, two double beds, three TVs, DVD player and stereo sound system, two vanity areas, two bathrooms with baths and showers, two toilets, a mini kitchenette, three ceiling fans, two safes, air-conditioning, two stereo systems, a large balcony with a table and chairs for al fresco dining and sun beds for lounging, and a smaller balcony. 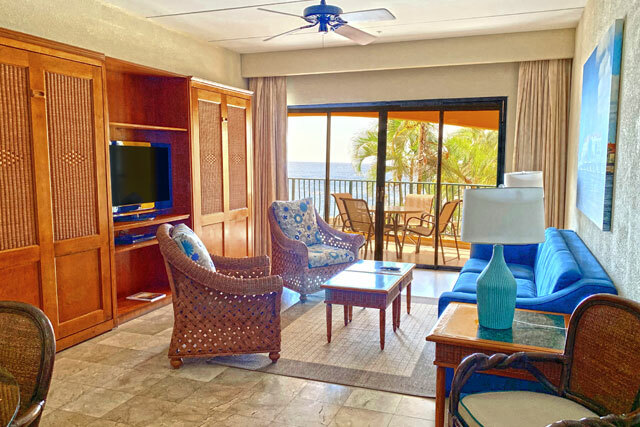 Our ocean-view one bedroom suites sleep four and feature a fully equipped kitchen (including dishwasher), dining and living area, two pull-down Murphy beds, Master bedroom with a king-size bed, two TVs, DVD player and stereo sound system, vanity area, bathroom with a bath and shower, two ceiling fans, safe, air-conditioning, stereo system and a large balcony with a table and chairs for al fresco dining and sun beds for lounging . 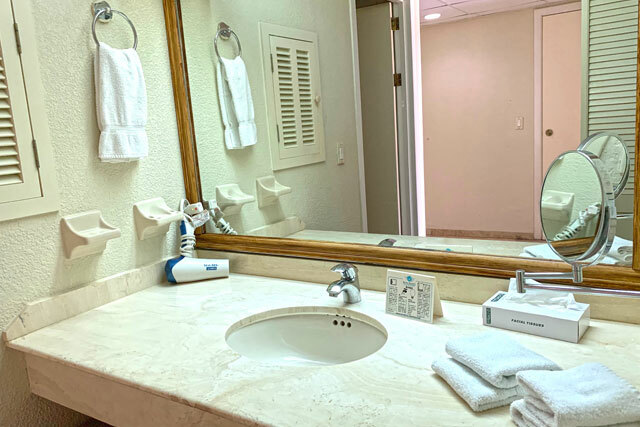 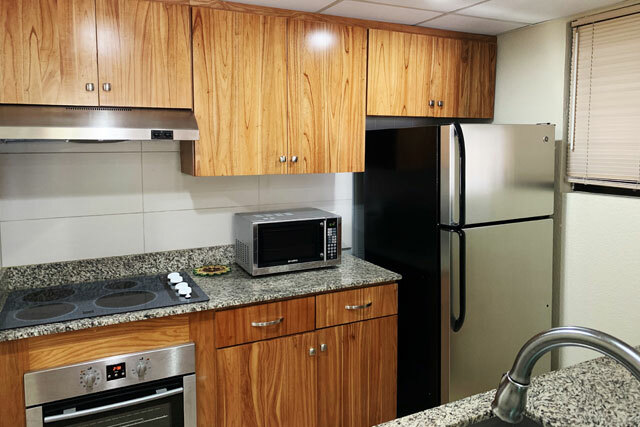 Our ocean-view Jr. Suites sleep two and feature a mini kitchenette (microwave, coffee maker and mini-fridge), bathroom with a bath and shower, vanity area, two double beds, TV, ceiling fan, safe, small balcony and air-conditioning.